I start law school August 22nd. After graduating undergrad in May, summer seems to by flying by. 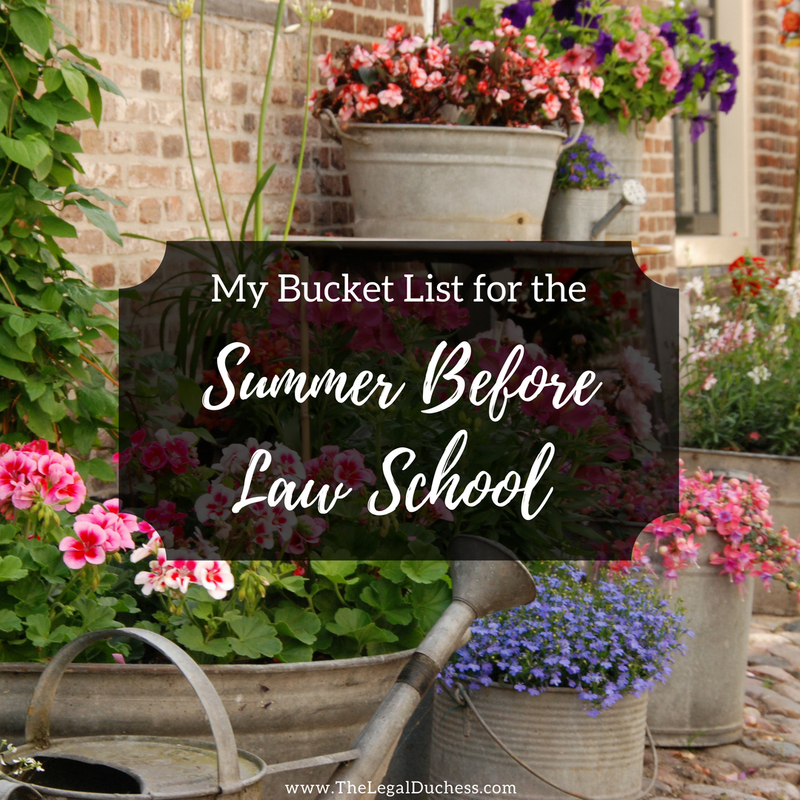 There are a lot of things I want to do before law school starts but time is limiting what I can realistically do. Here is my realistic bucket list for before law school starts. I have lost count of how many times I have read the series but with our Disney/Universal honeymoon coming up in July, I want everything fresh in my mind. Also, the magic of Harry Potte just never gets old. Our new house is only 2 minutes from the Toledo Zoo. I plan on hanging out with the polar bears and Giraffes regularly. I have two puppies and they are my babies. I want to seek out the best place to take them to play! I have nice old end tables for my living room but they are all beat up and not a nice shade of wood. I also have an antique sewing desk that I am using as a vanity that needs some TLC. I hope to do some DIY magic to give them some new life for our new home. The inside of our new house is gorgeous but the outside needs a lot of love. My big project will be the front yard. I am sure there will be a post on this to follow. Living in a new city is fun but I miss my old study spot/favorite coffee shop. I am hoping to explore and find a new spot I love almost as much! We have never gone on a picnic in our almost 7 year relationship so it's time for that to change. and I bought a really cute red gingham picnic basket I am dying to use. I got the most beautiful Kitchen Aid Stand Mixer at my bridal shower and I have yet to use it because a) I have not had time b) it is a bit intimidating. I hope to master it this summer and make lots of delicious cookies. Oh yeah.... I am getting married in July. Just a small little thing really. I can't wait to marry my best friend! Well there it is! Check back in a few months to see what I accomplished and what I failed at. Should be a fun summer before my life is absorbed with case briefs.